Thank you for visiting Dey Martin Guitars' website. I build one-of-a-kind and limited edition acoustic steel string and classical nylon string guitars and 'ukuleles that are inspired by tradition and made with meticulous loving care for the discriminating player. My premium line of guitars are pre-WWII influenced small body designs (steel string acoustics) but I will make most body types and neck shapes. My guitars are made from aged and sustainably sourced fine select and master grade tone woods. I search the world over for the best materials and combine them to make highly playable instruments that serious musicians and collectors will be proud to own and play. If you have a specific guitar you'd like custom made for you then let's talk! "Salvaged from the bottom of a cold logging river after more than a hundred years of submersion in the high country, these rare and lovely soundboards are light and stiff and have phenomenal tone and presence. And some of them display dark coloration from immersion in those nutrient- and mineral-rich waters." These sinker logs yield some of the most beautiful and pristine sounding guitar tops. I combine these sinker tops with master grade hardwood backs and sides and with my modified pre-war influenced X-bracing you get a tonally superior acoustic guitar. Please get in touch to order your custom guitar or ukulele. Dey Martin knows great guitars. He is a musician, a composer, classical guitarist, entrepreneur and life-long surfer. His natural talent as a luthier (guitar builder) springs from his life-long love of music, woodworking, nature and art. Dey grew up in Beverly Hills then moved to Newport Beach and then to Hawaii where he surfed - a lot. It was there, while a music student at university, that he apprenticed at the famed 'Guitar and Lute Workshop' in Honolulu started by Hawaiian musician Keola Beamer & friends to build guitars. The GLW went on to be entrusted to maintain the early music instruments of the University of Hawaii and of Iolani Palace, the official residence of Hawaii's monarchy. Dey acquired carpentry skills 1971-74 working with master carpenter Bob Taylor of Haleiwa, Hawaii. Dey earned a bachelor's degree in music composition studying classical guitar with GLW co-founder George Gilmore and with GRAMMY Award winning guitarist / composer / producer Charles Michael Brotman. 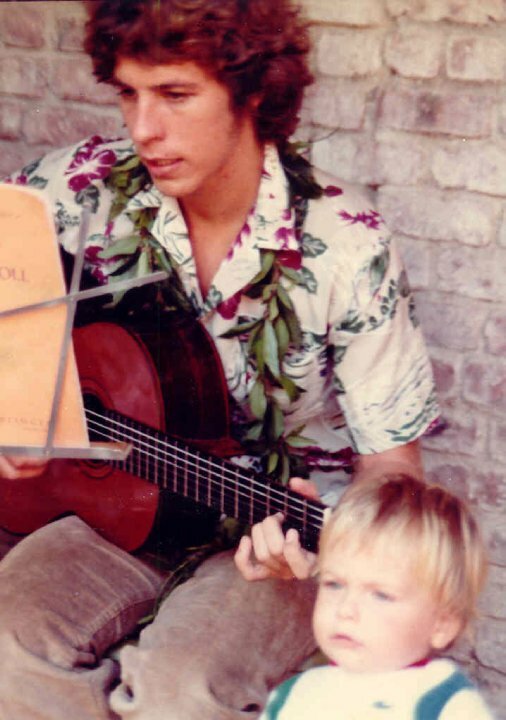 He also studied music theory and composition with University of Hawaii at Manoa Prof. Emeritus and 'ukulele master Byron K. Yasui. "I played viola da gamba as a member of an early music ensemble while at U.H. and just fell in love with gut string bowed instruments. I also studied the music and microtonal acoustic instruments of one of my idols, Harry Partch, an American composer, music theorist, and creator of musical instruments. These experiences established the foundation from which I draw inspiration to build world class instruments," Dey said. After graduating, Dey was accepted to the Master's of Music program at the prestigious University of California at Irvine studying music composition. Dey always wanted to be a rock star and briefly got his wish when he landed a gig in the the Atlantic Records/ Beggar's Banquet signed band 'Polyphemus' and played at Lollapalooza in 1995. Dey is recognized in the International Who's Who of Popular Music.